Announcement We strive to provide the best supplies of Sashiko Stitching. We have been engaging ourselves in Sashiko for more than 30 years. 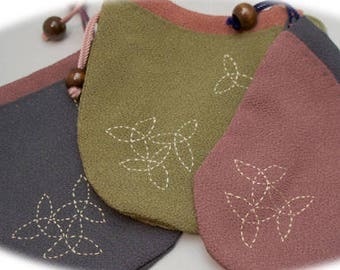 Sashiko threads are specially designed for Sashiko purpose. 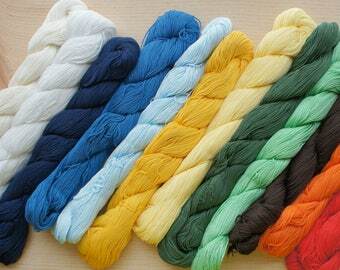 Some threads are dyed with Natural Vege/Herb. 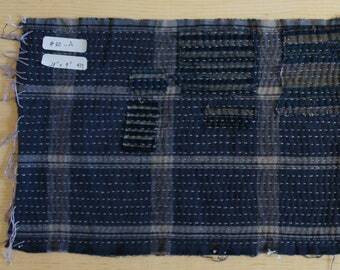 You will see the better Sashiko thread will result in the more beautiful stitching. 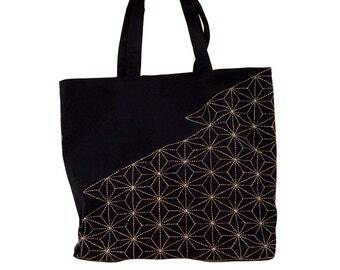 We also provide some Sashiko fabric, Sashiko art pieces, and small bags and accessories. Enjoy the great quality of our supplies & art with appreciation. *Atsushi will make a shipment of the orders to be delivered to US address from Pennsylvania. Keiko will make a shipment of the orders delivered to the Japanese address and other countries address from Japan. 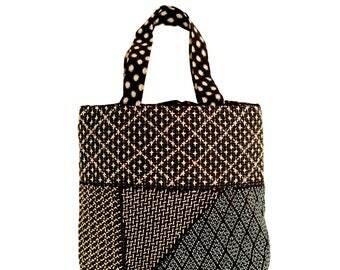 *Sashiko is a form of Japanese traditional Hand-craft (Handmade Art.) 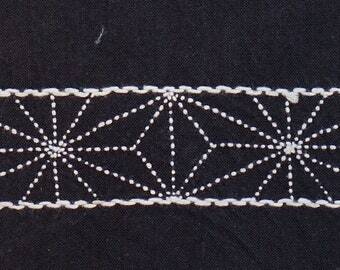 It is similar to the embroidery and emphasizing on strengthening the fabric. 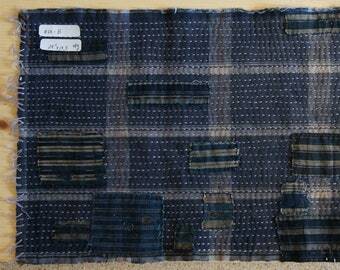 The technique and culture of Sashiko can be applied to existing quilting and patchwork. 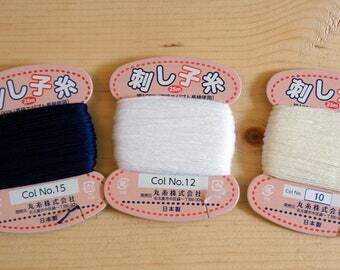 We strive to provide the best supplies of Sashiko Stitching. We have been engaging ourselves in Sashiko for more than 30 years. 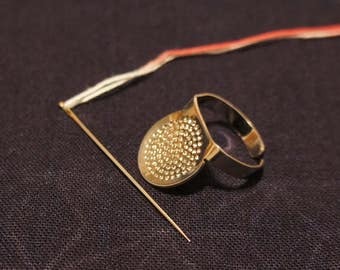 From the moment I purchased the needles/thread/thimble package from Atsushi, I was hooked. He immediately gave me feedback and support, and invited me to use him as a constant resource. I wanted to know everything about Sashiko and about the history of the Boro. I watched many (most? all?!) of his videos, and realized he was teaching a class in NYC; what luck! Of course, there is a difference in being in the class in person vs watching the videos. When you do one, you also want the other! What I appreciate most, is that Atsushi is so committed to spreading the lessons to revive this ancient craft and inspiring new generations of artisans. He is incredibly generous with his knowledge and time. This thread is absoutely stunning! Beautifully packaged and very fast shipping. I will be ordering more! Don't know where to start Sashiko? Try our DIY Kit and start off with some tutorials online (Youtube | @Sashi.Co). 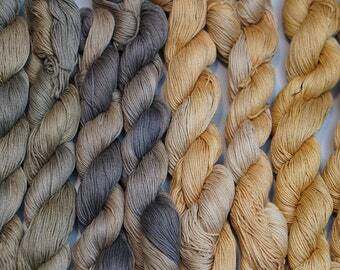 We are proud of the color we created with Natural & Hand-dyes. They are exclusive and stunningly beautiful. We make Boro. Yes. 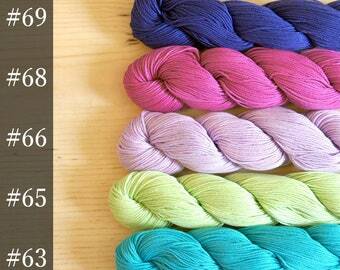 We recreate Boro by mending Boro swatches. Usable Boro. We call it, FRESH BORO. A good team of Keiko and Atsushi to serve you for better Sashiko life. Sashiko to the world. Appreciation to the Fabric. Upcycle and Repurpose. I was born in the Sashiko family. Sashiko was always with me. I looked at Sashiko, felt Sashiko, even when I didn't appreciate my privilege. 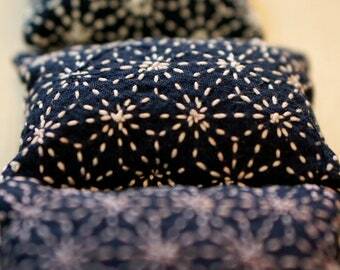 Sashiko has its origin as a process of repairing and/or strengthening the fabric. The Japanese enjoyed the process to provide the warmer, thicker, and more beautiful cloth to their family. Sashiko used to be a daily chore every household was performing, to care for someone you care. In the 21st century, we find their spirit and their relic beautiful, somtimes more than beauitful. Boro is one of the results of continuous caring Sashiko. 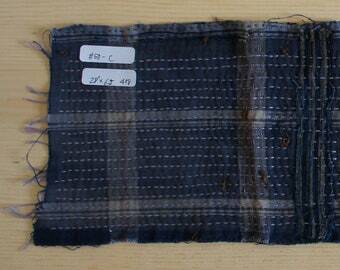 The Japanese kept repairing, mending, and repurposing the fabric. They always appreciated the fabric with the spirit of Mottainai (もったいない)- Too good to waste. My mother and I try to pass the culture of Sashiko down to the next generation. It shouldn't be kept in ourselves anymore. "Repurpose" and "Upcycle" what we have. Appreciation to what we have. 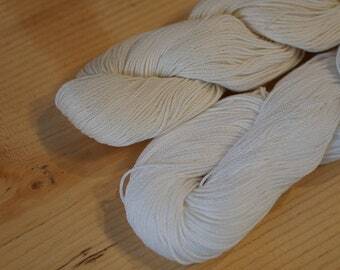 *More interesting Stories about Sashiko is available on our Website. Sashiko "Repair" Artist. 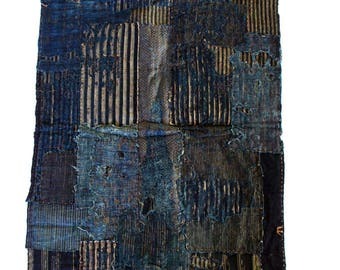 The main focus is on Sashiko on the Denim or ordinary clothes. Also working on many Tutorials to make Sashiko more accessible. Keiko is a gifted artist, Sashiko genius. She stitches well... but more importantly, her sense of using Sashiko in her works is just stunning. 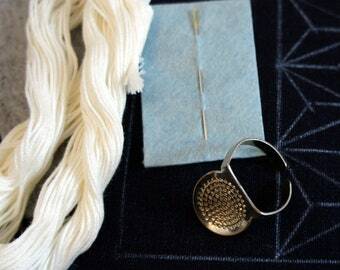 She also dyes Sashiko threads and fabric for Sashiko, simply to satisfy her expectation to be the one. A long-established thread manufacture in Kyoto. Persimmon / Kakishibu Dye Professionals in Gifu, Japan. A group of Sashiko artists with the Sashiko Director of Keiko Futatsuya. They are a rare group which can recreate the authentic Boro in this society.